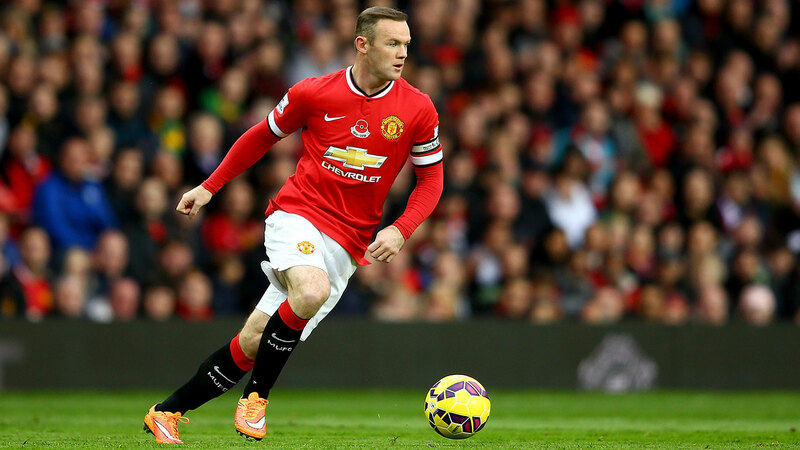 » The Burden of Versatility: What Is Wayne Rooney? The Burden of Versatility: What Is Wayne Rooney? On Monday, Wayne Rooney scored this goal. There’s not much to analyze: A striker makes a straight run. A winger whips in an angled crossed. And the striker heads it past a helpless keeper. Ho-hum. Ten and a half years ago, when an 18-year-old Rooney transferred from Everton to Manchester United, it seemed his future was overflowing with these kinds of simple, clinical finishes from close range. The biggest club in the country had just paid an eye-watering near–£25.6 million fee. Rooney was the great English hope: The presumptive best player at the most high-profile position for the premier team in a country that fancies itself the inventor of the sport. Rooney, though, never become that all-conquering, goal-scoring striker-hero. He still turned into a phenomenally productive soccer player, but one who was much harder to love and even more difficult to understand. Despite winning five Premier League titles and a Champions League crown with the club, the next two months are the most important of Rooney’s United career. Right now, the club sits in fourth, but it’s a position that flatters them, and they’re in danger of missing the Champions League for a second season running despite a massive offseason spending spree. They’ve struggled to create goals all season, relying on timely and unlikely finishing, sometimes bordering on the absurd, while on the defensive side they’ve needed a stellar season from keeper David De Gea to avoid disaster. And Rooney himself has struggled too. He’s posting the lowest combined goals and assists per 90 minutes of his United career, as manager Louis van Gaal shuffles him around the field in an attempt to meld a desperately constructed roster into a unified whole. Before figuring out how we got here, we need to ask a different question. What Does Wayne Rooney Do? Now 29, Rooney’s prime will be ending soon — if it hasn’t already. During their primes, most athletes coalesce from an idea into some kind of formed reality. Those physical talents and all that potential harden into a dead-eye shooting guard or an opposite-field-hitting doubles machine. Players take their skill sets, settle into a position, and marry the two together to create an identity. Lionel Messi went from being a long-haired leading actor in the world’s best dribbling highlight reel to the Platonic ideal of a false nine. Gareth Bale went from the incredibly fast, incredibly dynamic shooter without a position to the modern definition of a right inside-forward. That positional refinement simply never happened for Rooney. As identifiable today as it was when he debuted as a 16-year-old with Everton, his skill set is unique, but each copious strength comes paired with a nullifying weakness. There’s the signature strength that lets Rooney ride a tackle, hampered by the lack of speed that keeps him from breaking away. There’s the pure ball-striking ability, but without the dribbling skills to free himself to unleash it. And then there’s the ability to find pockets of space, but a heavy first touch that frequently closes them up. … there’s an accompaniment of bad fouls, missed penalties, and generally absurd miskicks. In his last five games, Rooney has played as a single striker flanked by two wingers in a 4-3-3 formation twice, played as part of a pair of strikers twice, and played once in the midfield. He moved around last year under David Moyes, and Alex Ferguson also deployed him in all sorts of ways: a striker, central midfielder, attacking midfielder, and even as an attacking winger. So, the question is: Has Rooney never settled into a position because of his imperfect skill set? Is he simply not good enough to be a central star player on a team competing at the highest level? Or is he so versatile that his managers can’t help but slide him around the field? When Rooney showed up at Manchester United at the beginning of the 2004-05 season, he immediately became a central part of the team’s attacking makeup. Despite a squad that already had Cristiano Ronaldo, Louis Saha, and Ruud van Nistelrooy, who had scored 30 goals in all competitions the year before, Rooney logged more than 2,000 minutes in his first season and led the team with 11 Premier League goals. At 19, he seemed poised to make the United striker spot his own for the next decade. Of course, that never happened. A big reason why was Ronaldo’s evolution into Ronaldo, Destroyer of Worlds. He transformed from a flashy winger during Rooney’s first season to a 30-goal-scoring machine by 2007-08. In addition to Ronaldo going supernova, Ferguson kept buying attacking players. After bringing in Rooney, the United manager went out and bought Carlos Tevez, Nani, Dimitar Berbatov, Javier Hernandez, Michael Owen, Robin van Persie, and Shinji Kagawa — all players who, to some degree or another, played the same position that Rooney would occupy. 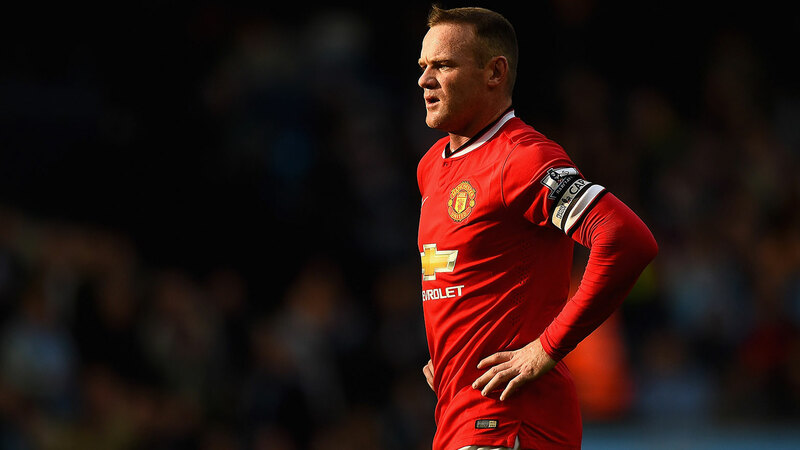 Now, none of those players supplanted Rooney: He has never played less than 2,000 minutes in a season for United. It’s just that Ferguson was clearly loath to reduce him to functioning in a single role. To some degree, that’s a function of how the legendary manager worked. He wanted to have a big squad that he could mix and match depending on the opponent. In many ways, Rooney embodies the flexibility that was Ferguson’s core strength as a manager. If the opponent lacked the speed to exploit Rooney on the wing, Ferguson could deploy him there to best use his strength to charge into the box from wide. If there would be room for him to operate in the middle, Ferguson could play him as an attacking midfielder. If the opponent’s center backs were weak, Ferguson could slide him up top. Rooney has a malleable, imperfect skill set, and Ferguson had an unparalleled ability to deploy misfit toys to their utmost impact. That was Rooney’s career under Ferguson in a nutshell: He fit into the tactics; the tactics didn’t change to suit him. Rather than a superstar, he became a star role player. For reference, during United’s title-winning year in 2012-13, when he was brought in to play as the central striker ahead of Rooney, van Persie’s goal-contribution rate was 0.94. Rooney’s career production is immense. Ferguson may have preferred Rooney in the jack-of-all-trades attacking role to fill whatever holes his team had, but Rooney didn’t suffer doing countless different jobs. He thrived. Now, Ferguson is gone, reduced to casting a long and menacing shadow from the Old Trafford stands, and United is struggling. And without Ferguson to deploy him, Rooney’s versatility has suddenly become a burden rather than an asset. It’s a waste of everything Rooney has to offer, and given United’s precarious perch, they can’t afford to waste anything. As currently constructed, this group is not good enough to reach the Champions League without more of a contribution from their long-serving, uneven, almost-superstar. United have never been Wayne Rooney’s team, and they may never be. But right now, he’s the best shot they have. Numbers come from ESPN Stats & Info. Some totals may not match up because of rounding. I Still Hate Rick Fox ... So What?